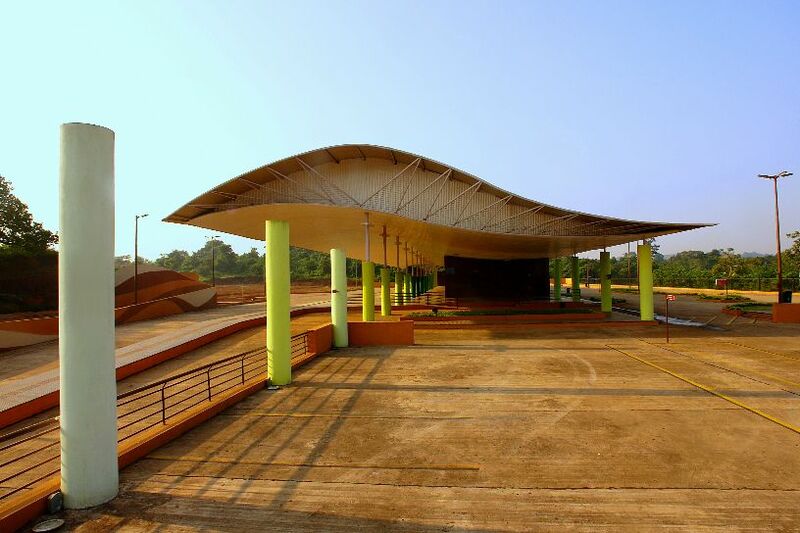 GSIDC | Construction of Bus Stand at Honda. •	The whole scheme is designed with commuter / passenger safety in mind, on the concept of one way traffic flow, maintaining a left side alignment for convenience of boarding & alighting. •	Separate entry, exits for buses and other vehicles ensure unobstructed & efficient traffic movement in the campus. •	Provision of 10 bays for scheduled buses, 5 bays for idle parking. •	Provision for rickshaws (16 number), taxis (11 number) and pilots (29 number) has been made near alighting bay to facilitate easy access for the passengers. •	Adequate provision of parking of private vehicles, both 2 wheelers (70 numbers) & 4 wheelers (20 numbers) has been made with separate entry & exits. •	Provision of services & infrastructure such as toilets, drinking water, and telephone booths, waiting areas, canteen, ticketing offices, restrooms, etc. in close vicinity increased the comfort level of the commuters. •	Shops (21 number) and other commercial activities have been designed considering the financial feasibility and ensuring independent functioning. 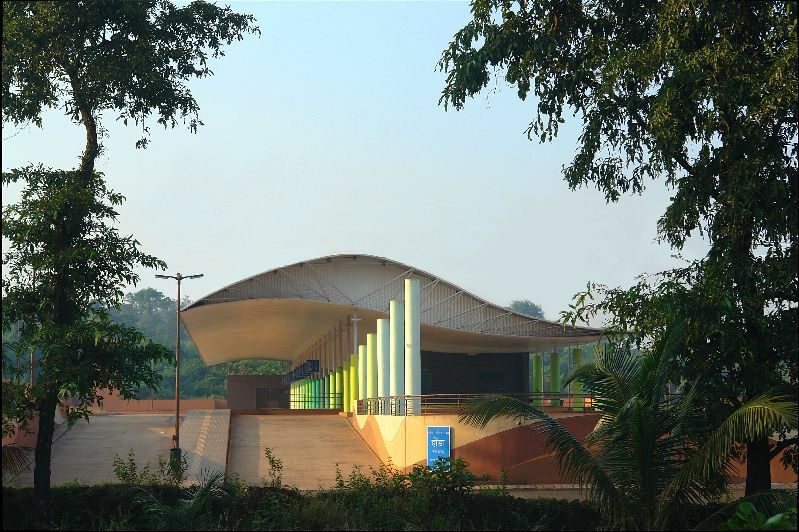 •	Lighting system used for the entire bus stand is based on the light sensing technology, which turns on the lighting system at dusk and shuts off at dawn. 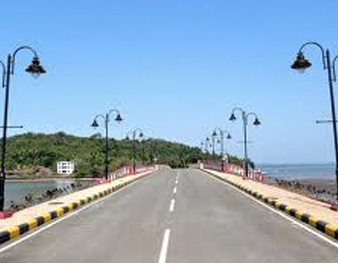 Upgradation and improvement of roads leading to beaches in Pernem Phase–I Chopdem to Mandrem.